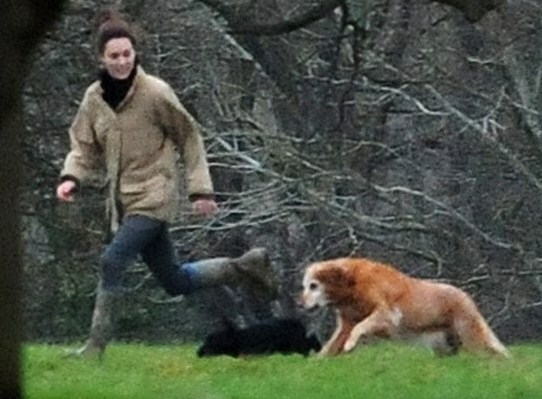 Kate looked like she was having a wonderful time running alongside the dogs wearing an oversized jacket, jeans and her Le Chameua wellies. 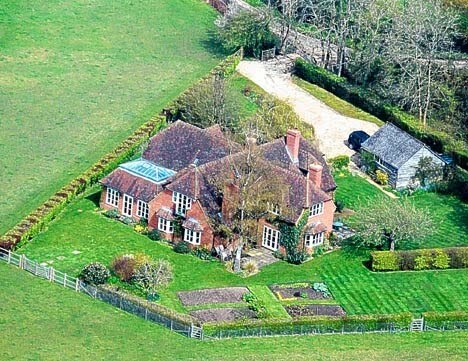 The couple arrived in Berkshire Friday morning. One local said 'You always know when William and Kate are around because the place is overrun with officials'. 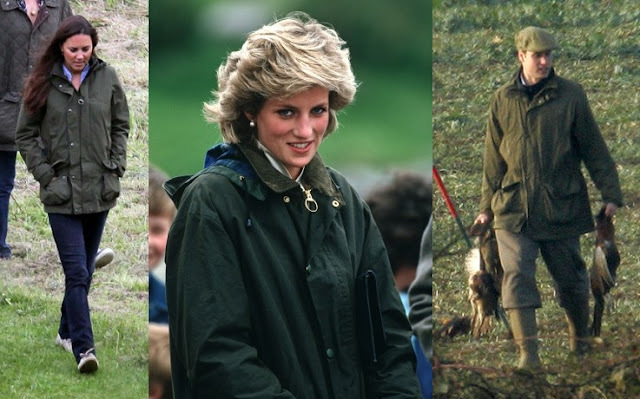 The Royals have been fans of Barbour for generations and are always photographed in their jackets while enjoying outdoors activities. After their country walk the couple celebrated the beginning of 2012 in a reindeer hut. (Yes reindeer hut :)) in the Middleton's back garden. The hut is traditionally used by reindeer herders in Lapland. Party planner Pippa chose the hut which costs £3,000 to hire. 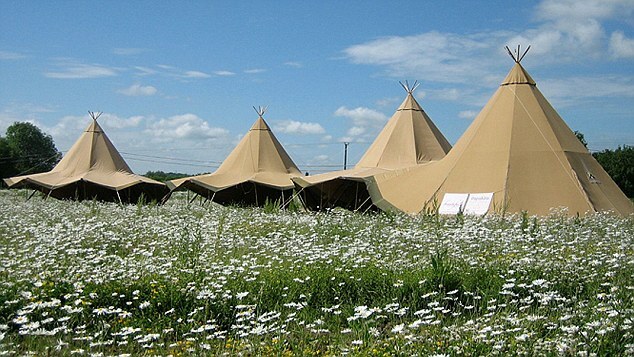 Despite the tent structure the inside was described as a 'canvas palace'. 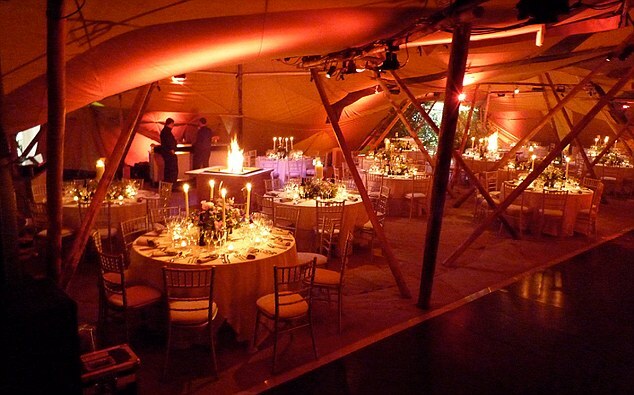 Hog roast and vintage bottles of Moet champagne were served. It certainly gave the young royals a chance to let their hair down. I was delighted to hear Kate is spending New Years with her family as she celebrated Christmas with the royals. The Middletons are an incredibly close knit family and it will undoubtedly mean a lot to them to have their eldest home. "It is clear she is determined to use her high profile role to do as much good as she can. She has always had a caring side but now she is in a position where she can use it to do some good. Everyone is incredibly proud of her good intentions". Read the full article from People here. I have a feeling we will be hearing more about Kate's New Year celebrations and hopefully seeing more photos. 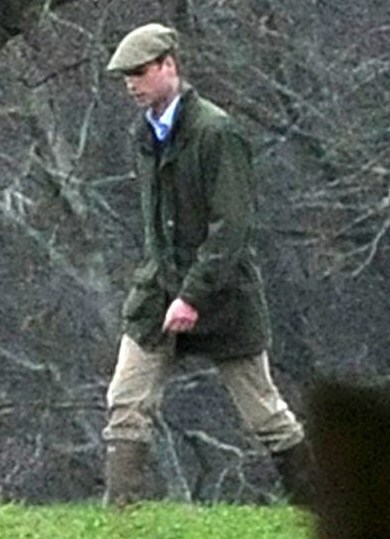 Am I the only one who thinks William looks incredibly hot in that outfit? 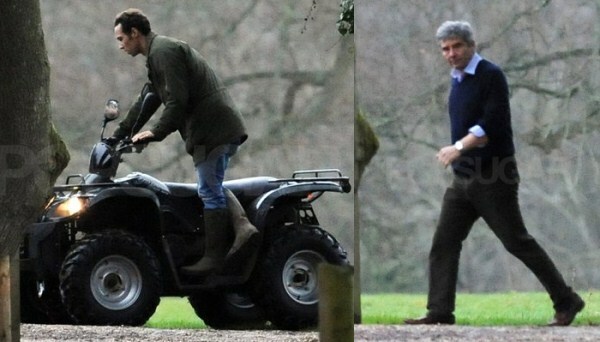 Glad they got a relaxing New Years, pity they couldn't shake the pap entirely. From what I can gather they enjoyed their break with minimum press intrusion. They look so British in those outfits. :) I'm a nurse so I am excited about this medical course thing she will be involved in! 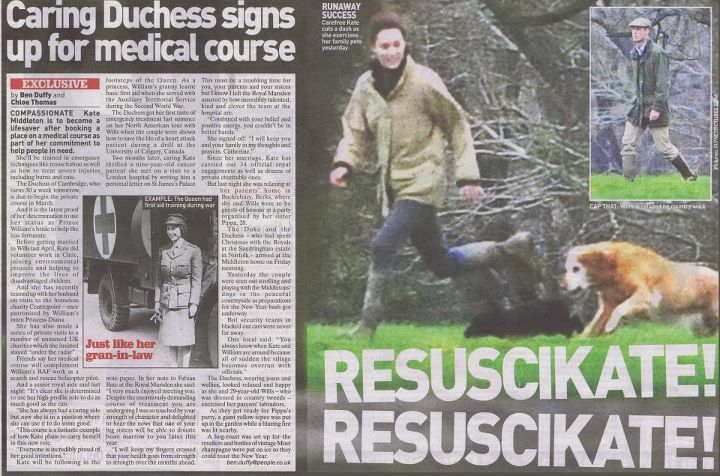 Oh wonderful, I admire the work nurses do and I'm delighted to see Kate is eager to participate too! Hi! I just read an article about Kate's birthday at the Daily Mail website. The article has lots of pictures I'd never seen before. 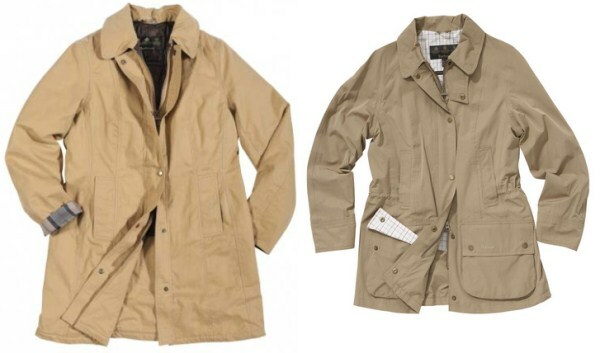 I thought it might help you on the next posts. Hello Ana. B. and thank you so much for taking the time to link that article. I saw it last night and I'm thinking of making something similar for a post for Kate's birthday which is the 9th. It's so hard to believe she's going to be 30! Bonnie - It's beautiful yet homely! I too am a nurse and curious what exactly is a "medical course" in the UK?? Is it like a CPR class?? I'm a nurse too!! Again I've never heard of this medical course either? Will be interesting to know more and how long the course takes to complete.